VDK Waste Systems and Stewart Commercials agree upon collaboration for Northern Ireland. Stewart Commercials, specialist in the sales, rental business and after sales of different type of municipal vehicles, located close to Belfast in Northern Ireland and VDK Waste Systems, have agreed upon a contract in which Stewart Commercials is being appointed as the new importer for VDK’s refuse trucks in Northern Ireland. 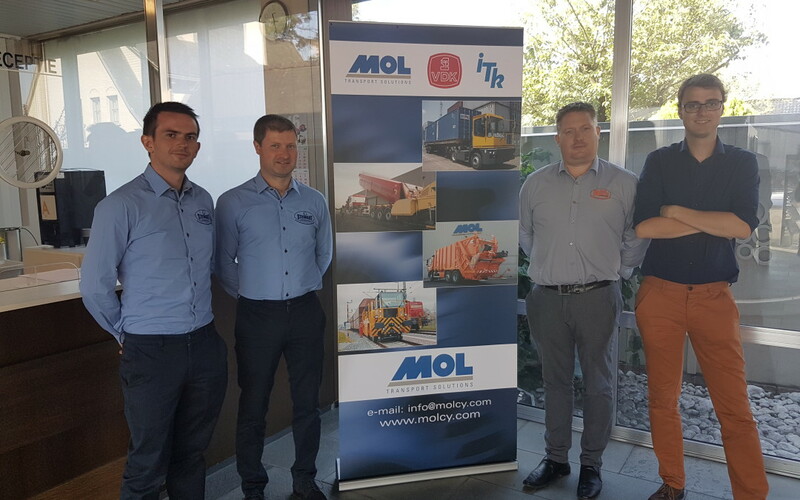 In August, a delegation of Stewart Commercials, visited the factory of MOL/VDK, to get an overview of the company and the products. They were clearly impressed from the production facilities and the quality of the MOL/VDK product portfolio. Nico Martyn, Sales Manager of VDK Waste Systems: We see in Stewart Commercials a key partner for the sales of the VDK products in Northern Ireland thanks to their good contacts with the local garbage collectors. Due to our daughter division, Inco-Mol, located in the heart of England, we have already more than 20 years of experience in supplying VDK garbage trucks to the United Kingdom. Stewart Commercials was first opened by Henry Stewart in July 1974 carrying out commercial vehicle repairs and manufacturing skips. In 1980 Stewart Commercials bought its own premises in Springfarm Ind Est in Antrim. It then was a .75acre site with a 4000sq ft work shop with a purpose built wash pit area. Over the years they have added on to having a 1.1 acre site with 5000sq ft workshop and more recently they opened a new work shop within 1 mile of our existing premises, to increase their capacity. For over the past 30 years now they have been providing a service to local Councils, Home First Trust, N.I.A.S and have held long term contracts with Arval PHH, Alpha Flight services, Belfast Int Airport, VMS Iceland, ATS and have had a good working relationship with all 26 of the Northern Ireland Councils. Stewart commercials is the original family business which continues to go from strength to strength. On the picture, you can see from the left to the right: Liam Regan (Sales Stewart Commercials), Drew Stewart (General manager Stewart Commercials), Jason Stewart (Sales Stewart Commercials) and Dieter Lahoutte (Sales Executive – Export VDK Waste Systems).